The lower grades of the New South Wales Rugby League are a wealth of riches when it comes to observing developing talent. On any given weekend, you have the opportunity to see at close range a star or future star of the NRL playing in either the VB NSW Cup or Ron Massey Cup. 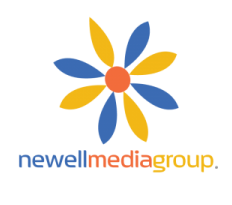 Over the past few years Newell Media Group has observed many stars and thrilling rugby league contests. Whilst Melbourne claims to be the sporting capitol of Australia, one of Sydney’s greatest strengths with regards to the development of future sporting talent is second to none. The Sydney District Cricket competition has a quality unsurpassed in terms of talent and competition strength. The same could easily be said of the VB NSW & Ron Massey Cup competitions. Games are not just simply exercises in kicking off the dew from the turf, or to “languish” as some pundits have claimed. It is a rare day that you will see a lackluster affair. Players apply themselves physically and courageously in both competitions. There is also several clubs that refuse to die despite no longer being part of the National Ruby League competition or have simply been merged. The Newtown Jets, North Sydney Bears and the Western Suburbs Magpies are perfect examples of teams that respect their club’s heritage and history and of the deeds of former players. These clubs have a solid, passionate dedicated and loyal fan base that at times shame any “mainstream” professional sporting outfit. The Newtown Jets have created their homes games at their spiritual home ground of Henson Park and is a must do for any self-respecting rugby league fan. The atmosphere, food prices and occasion give the spectator an experience that has been eradicated over time by the big end of town, where betting odds, advertising and other money making ventures aren’t given precedence over the pure game of rugby league. The North Sydney Bears are another example of a team that refuses to fold. Like Henson Park, any serious rugby league fan should make a “pilgrimage to North Sydney Oval and experience a game.The venue is soaked in history with it’s unique grandstands and historic Moreton Bay Fig Trees. Then there is the Western Suburbs Magpies which have been merged with the Balmain Tigers as Wests Tigers in the NRL. Many media commentators refer only to the “Tiger” part of the merger much to the derision of many a Western Suburbs fan.Instead of discouraging the fans, it has galvanized a large group of folks who feel passionate and proud of their team. At Western Suburbs games you will see healthy numbers of fans, dressed in black and white at their Ron Massey Cup games and wins are celebrated with plenty of gusto and passion that is unrivaled in the competition. And their numbers aren’t simply made up of beer drinking blokes. Kids, mums, families are all part of the West clan and it’s a credit to that fan base who refuse to let their club’s proud history be dispatched by the big end of town.